New England Patriots: Is The “New” AFC East To Be Feared? | NFL News, as it happens, when it happens. Your one stop shop. New England Patriots: Is The “New” AFC East To Be Feared? 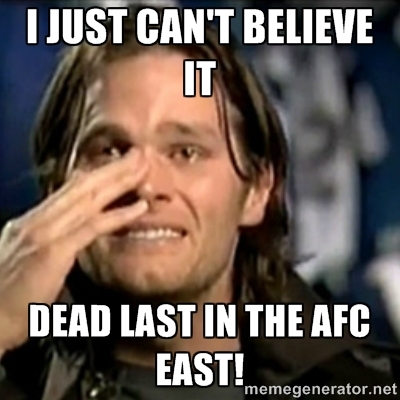 For the last few seasons in the NFL the AFC East has been the New England Patriots and a bunch of other guys. Right now they are the only NFL conference without a loss. Yup, 4-0 while beating some formidable foes to get things started. Many were predicting the Steelers were back, but the Patriots took care of that notion. The Colts had Luck on their side, but that was all as the rejuvenated Bills put them in their place. The Dolphins didn’t exactly impress in their 17-10 win over the clueless Washington Redskins and the Jets…well, they destroying the Browns, who haven’t won an opener in about 320 years! Both still have a lot to prove to the skeptics. Last year the Jets (Raiders), Bills (Bears) & Fins won their openers while the Pats lost (to Miami). One of the few times the Patriots have been on the bottom of the pack! While the NFC South has been an embarrassment, the teams in the AFC East have slid under the radar. 2015 could be different! While the beasts in the east are nowhere near the NFC West (Seattle, St.Louis, Arizona & SF), Miami, NY & Buffalo have all taken a step up, while the Patriots remain the favorite. Here’s where I throw out a bunch of mean nothing statistics. You can browse over this paragraph in the reading room when you have nothing else to do (well, you’ve got something to do, but you know what I mean). It can certainly be misleading, but, based on strength of schedule, courtesy of CBSSports.com, the Patriots (#22*), Buffalo (#19*), Jets (#18*) and Miami (#17*) all have relatively easy schedules. (* represents strength of schedule with #1 [Pittsburgh] hardest and #32 [Atlanta] easiest) Yes, they do play each other twice so, theoretically, with the division stronger it could mean more in-conference losses for each and that will be important if tie-breakers decide who’s in and who’s out at the end of the regular season. Whew, now that that’s out of the way, let’s look at the match-ups. The AFC East matches up with the relatively weak AFC South (Tennessee, Indy, Jacksonville & Houston) and, with Indianapolis’ poor/soft showing in their opening loss to the Bills, they all could run the table. The Colts looked incredibly soft in Buffalo, but you know they’ll play better with Andrew Luck at QB. Look for a lot of shootouts in their games as they still can’t stop anyone. It’s another story when the AFC East plays the NFC East, with possible powerhouses Dallas and Philly (yeah, I know, they didn’t look good on the road in their opening loss to the Falcons), the always tough Giants (Eli doesn’t make those same “dumb” decisions against the Pats) and the helpless Redskins. If all goes well, that schedule might give the AFC East teams as many as 6-8 wins. If they split games against each other their win total climbs to 9-11. Now, I know that’s a big leap after one game, but, hey it could happen and no one would be shocked…except Patriot and Colt fans. The Patriots beat the Steelers (whatever happened to the Steel Curtain? It’s turned to tin) and have the always tough Broncos in Denver coming up. 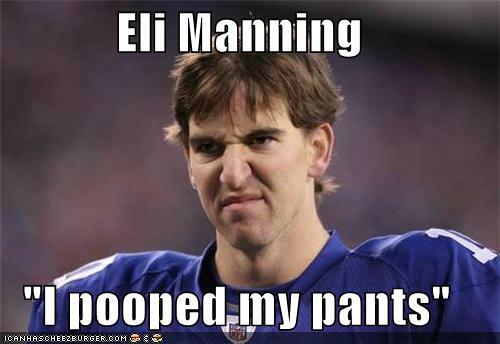 Manning’s arm still looks dead, but playing the game at home is definitely to their advantage. The Bronco’s offense will be different under Head Coach Gary Kubiak and Peyton will have to adjust to the short, clock killing style Kubiak likes. Buffalo has the most difficult twosome, pairing off with Cincinnati at home and the powerful Chiefs in KC (my sleeper team this year). Let’s face it, after one game no one knows what will shake out down the road. The only thing that seems certain is its great to have football back and lawsuits set aside for a while. Please, don’t bet the family jewels (if you have any) on what I write, ’cause basically I’m just like you…A longtime fan who thinks he knows more than he does!